Bedtime storytelling is to writing what walking is to running – Don’t underestimate its value. I’ve just returned from a lovely morning walk in the forest and neighbourhood, feeling guilty at first that I had decided to walk instead of jog. To compromise, I walked briskly while admiring the vitsippor (white wildflowers – not sure what they are called in English) waving to me from the forest floor. It is a sight that year after year, conjures up instant stories in my head. Sometimes I see trolls lurking behind large rocks, leprechauns tripping themselves among low ferns, Vikings sword fighting or 19th century lovers embracing before they run away together – their horses waiting just behind a tree in the distance. The forest and its myriad of stories just waiting to be discovered, hint to times when my children were tucked in bed eagerly awaiting their new story – a story crafted just for them from the forest of their bedroom. 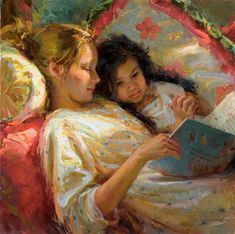 Books were fine, they’d say, but mom’s stories came into the world just for them. I always asked them to choose a topic, setting, and one or two characters. I’ll never forget my daughter’s choice of being different (topic), rainbows (setting) and parrot (character). To this day it remains one of her favourite bedtime story memories. Sometimes, when the stories felt extra special, made up as I went along, I would leave her as she fell into a deep slumber then go to my computer and write them down or jot notes to myself so I wouldn’t forget the fun bits. The parrot story became a rhyming children’s story, Through the Rainbow, Baltazar! with an important message for children to be proud of who they are no matter what colour or how different they might be to others. When I had injured my knee several years ago and found jogging to be a struggle, a friend of my husband’s said, “Never underestimate the value of walking”. He was right. Walking gets you moving, your heart pumping, you feel good doing it and you never, ever regret it. I can say the same for storytelling. It gets your imagination moving, your heart pumping with excitement and creativity, you feel good making it up as you go along and seeing the wonder in your child’s eyes and you never, ever regret doing it. There is nothing like the feeling of sending your child into dreamland with a sack full of inspiration. Try it! I promise you will feel like a star parent! The beauty of bedtime storytelling is that its rewards are plentiful. Whether you are a writer or not, it will jog your imagination, curiosity, make you more productive and creative at work. I am sure of it. You will be more open to new concepts and ideas. Just look around you. Inspiration is everywhere. When my daughter would give me a character and I couldn’t think what to do with that character, all I would need to do was let my eyes travel her bedroom for inspiration; a shadow on the wall, a stuffed animal on a shelf, clothes strewn across the floor, too lazy to work themselves into the laundry hamper. There is never a shortage of inspiration – you just have to look for it. So when I was walking back to my house this morning, and I realized that I had started my walk cold to the bone, yet I had become toasty warm, it didn’t matter that a gorgeous, blond Swede, twice my height ran past me in her sleek running gear. I had worked up a little body heat of my own, thank you very much. My heart was pumping, I had thought of the perfect title for this blog post, irritated to no end that I had left my mobile phone at home and was forced to recite the title 50 times so I wouldn’t forget it. But nonetheless, I felt good. I felt inspired. I felt like writing. So go for a walk, you don’t need to run, but it might lead you to run one day. Tell a bedtime story, you don’t need to write it down, but it might turn into a novel one day. Great post! I definitely needed to be reminded of this. Yes, reminders can be helpful from time to time. Glad you enjoyed it.